Combine colours, textures and techniques in a bright and beautiful accessory with this pretty pattern. This issue’s collection is inspired the Bloomsbury group of artists, and this design takes note of their country meeting place for the writers. Now available as a Ravelry download. 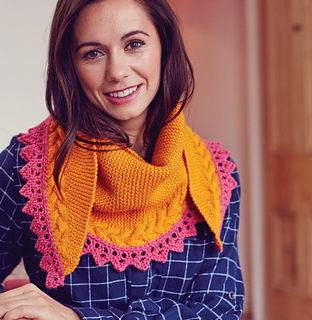 Knit Now’s brand new look issue 45 is on sale 5th March 2015, available worldwide from the MoreMags website.